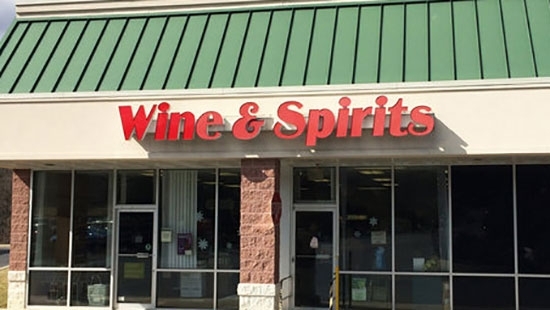 Many Wine and Spirit stores in Pennsylvania have reported that their credit card machines are completely down, making it a nightmare for customers on the night before Thanksgiving. With machines down, the stores that are affected can only take cash as a form of payment, and many customers were unable to make their purchases. Lines are reported to be very long, some stretching out of the doors of the stores. The Liquor Control board released a statement saying the problem doesn't appear to be in every store, and they are trying their best to resolve the problem as quickly as possible. UPDATE: Credit and debit card services have been restored at state liquor stores. Philadelphia Police have now identified the man who was the victim in a targeted explosive mail incident that took place in Center City on Tuesday. The victim is 60-year-old James Aldean, who is now recovering from wounds to his face, torso, and left hand, after a package he received exploded in his apartment on Tuesday. The ATF, FBI, Philadelphia Police Department, as well as US Postal Inspectors are working to find the person or persons responsible for sending or delivering the package to the man's apartment. Investigators say that they have never seen a device like it here in Philadelphia before, and that it was clearly intended to injure or possibly kill the man. Philadelphia Police are now on the hunt for a man who is allegedly responsible for nine robberies that have taken place all in the Grays Ferry section of Philadelphia. Police say the suspect started on Saturday when he robbed five stores all along the 2400 block of Aramingo Avenue. Police say he smashed the front door of each store and stole various items. The suspect also robbed three more stores on Monday. Police have stated that all of the robberies have taken place between the hours of 5 and 6 am. Anyone with information is asked to contact Philadelphia Police. The Flyers play tonight in Tampa Bay against the Lightning. Tonight, Mostly Cloudy and a low of 34 degrees in Center City.